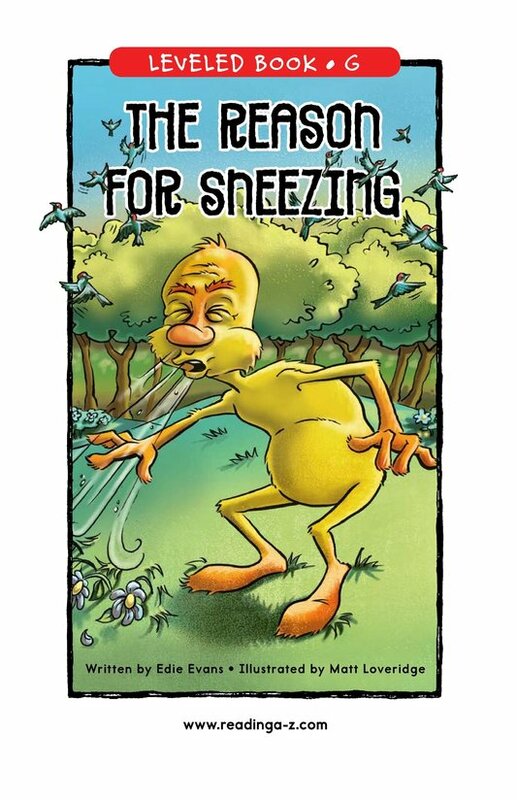 The Reason for Sneezing explains how this common reaction to dust or sickness occurs in our bodies. 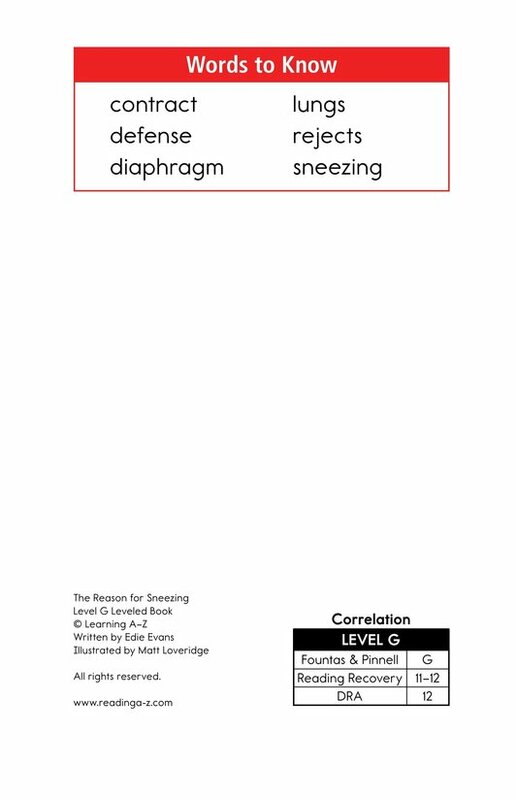 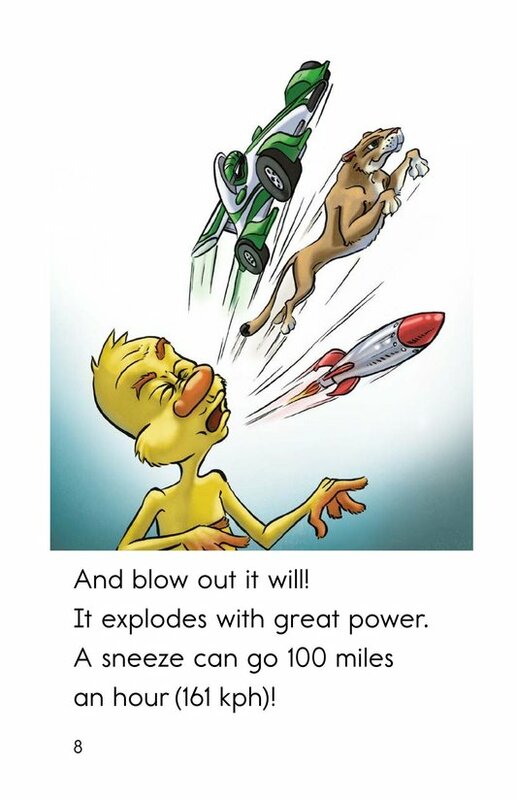 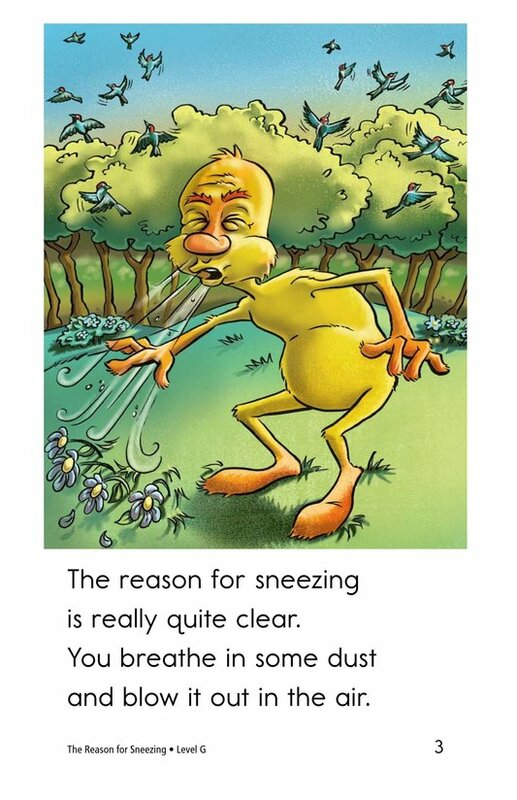 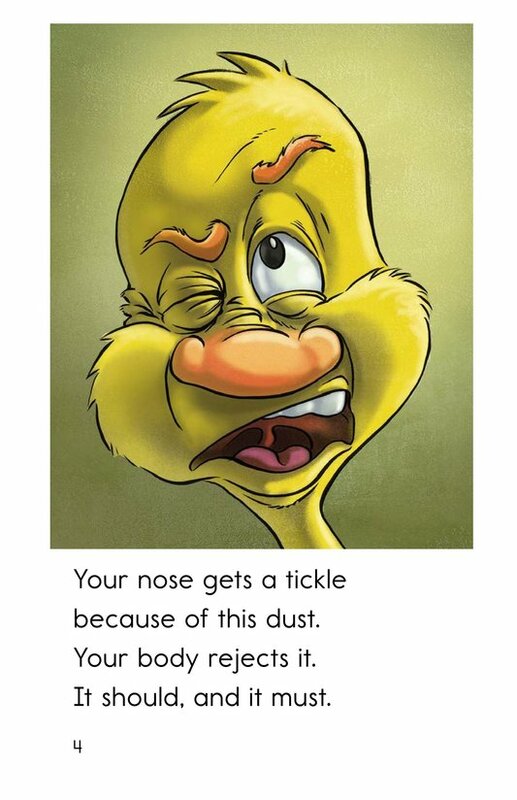 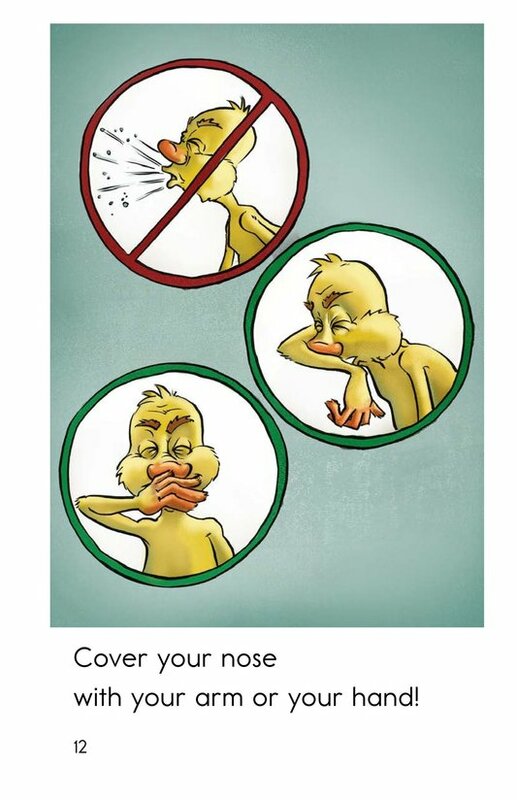 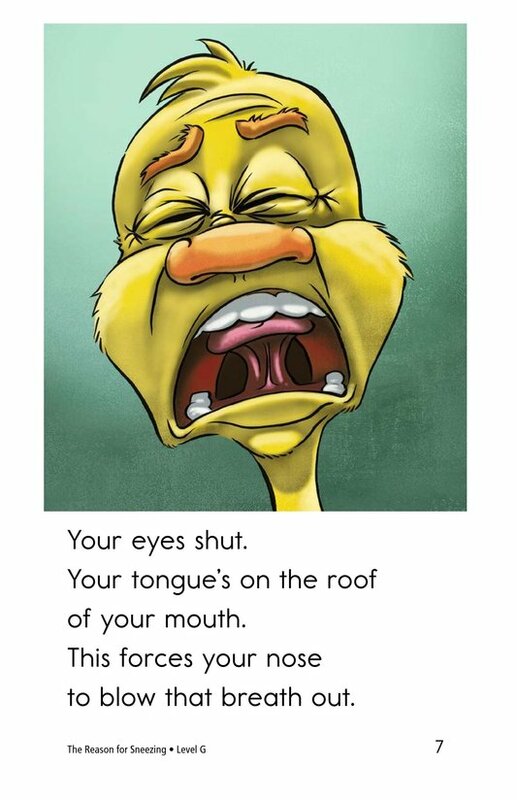 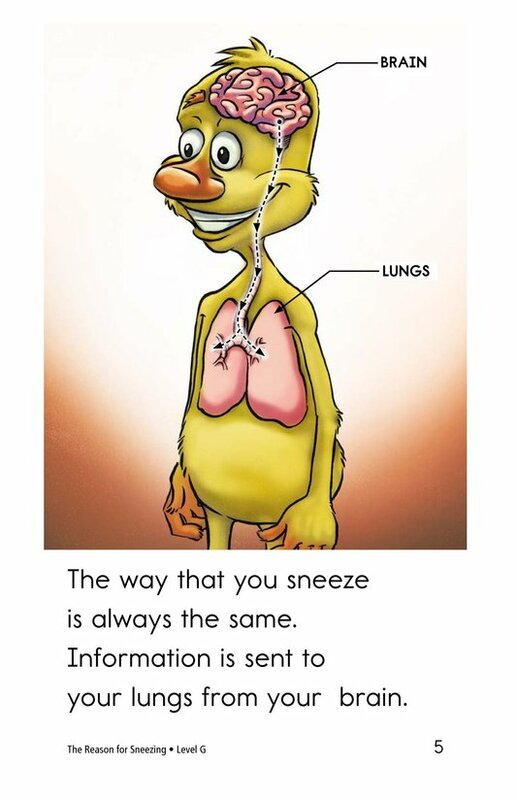 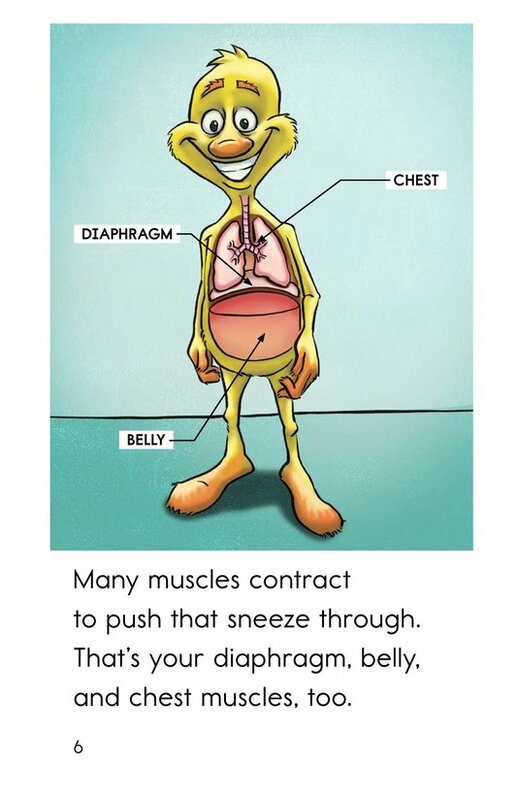 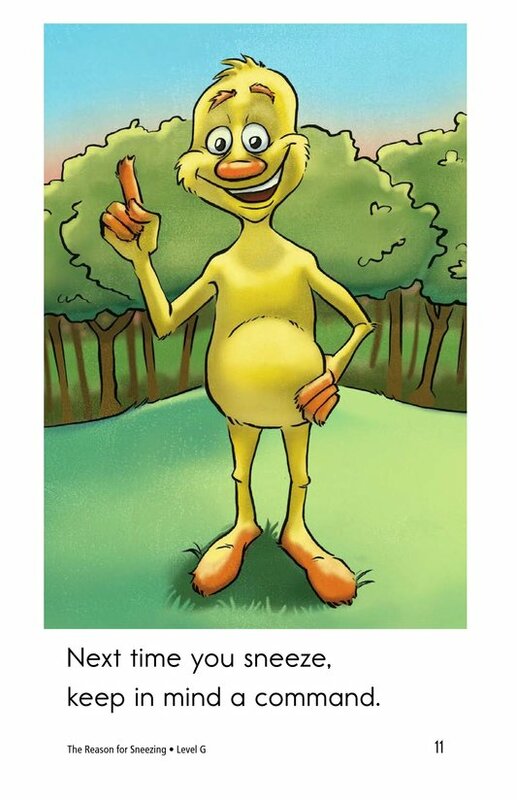 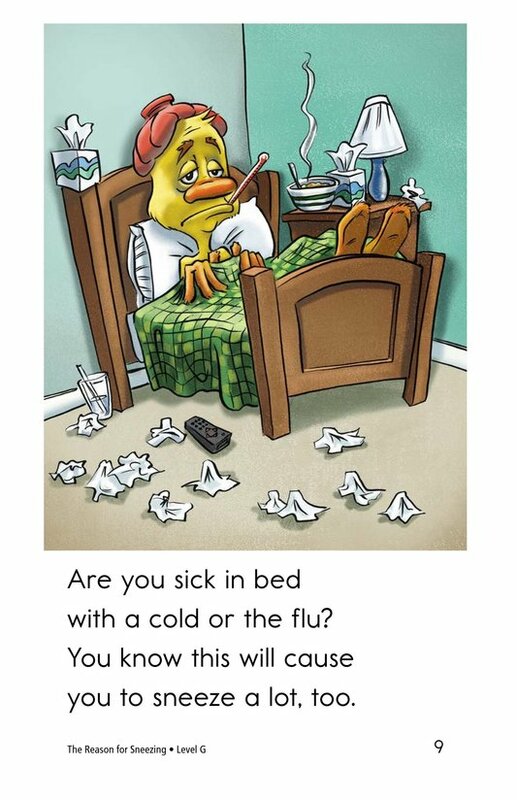 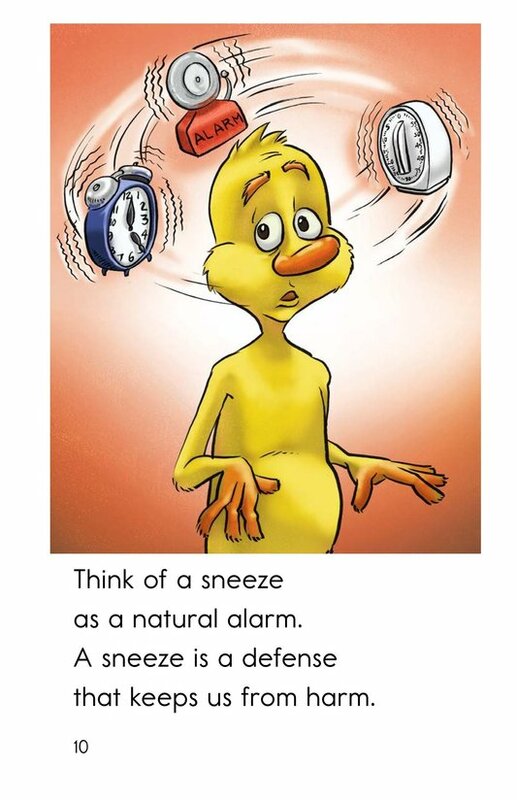 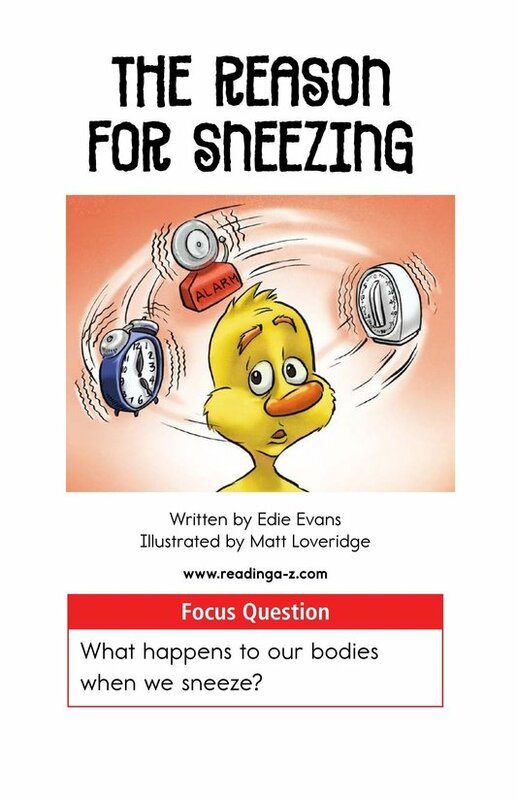 The rhyming text and whimsical illustrations will engage students as they think about the interesting process of sneezing. 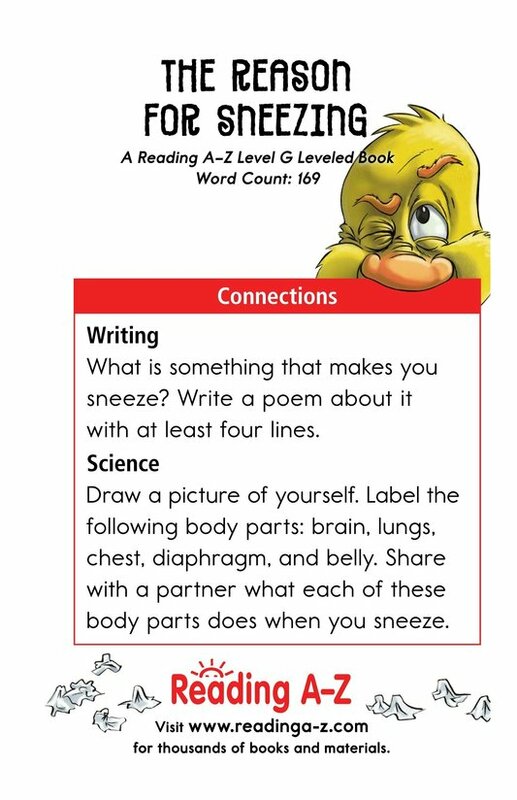 This book can also be used to teach students to visualize to understand text and to sequence events.